New York has issued the second NY Prize request for proposals, this one offering $8 million from the $40 million pot designated to spur community microgrid development in the state. One of the most watched microgrid opportunities in North America, the NY Prize attracted 147 microgrid proposals in its first phase last year. From those proposals the state issued 83 grants of about $100,000 each for microgrid feasibility studies — $8.1 million in all. Editor’s Note: This story is an updated version of an April 20 alert. We’ve added more details about the new RFP. Now the New York State Energy Research and Development Authority plans to select eight communities, which will each receive prizes of $1 million to be applied toward engineering, design and business plans. Winners will be required to offer a 15 percent cost-share. Phase II proposals are due October 12. The NY Prize is part of the state’s larger Reforming the Energy Vision (REV), a revamping of electric power rules and markets to open the way for a more decentralized grid. 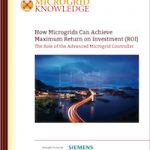 For more insight on the NY Prize, attend “NY and Beyond: Advancing Microgrids Nationally with Lessons Learned in New York,” a May 19 conference hosted by Microgrid Knowledge in Manhattan. The phase II RFP is open to local governments, community organizations, non-profit entities and for-profit companies. Even those who did not participate in Phase I may apply. But to compete, all applicants must complete a benefit-cost analysis and comparable feasibility analysis. The state will not accept proposals from simple, campus style microgrids. Instead, it seeks microgrids that include at least one facility that provides critical services to the public. The microgrid also must have multiple uniquely owned/controlled buildings that act as a group of interconnected loads and distributed energy resources. It must lie within a clearly defined electrical boundary. And it must act as a single controllable entity, which can connect and disconnect from the grid and operate in both grid-connected or island mode. In evaluating proposals, NYSERDA will look at microgrid capabilities, technical design, commercial, financial and legal viability and a benefit/cost analysis. The authority also will take into account other considerations, such as potential benefits of the microgrid to the local utility, support from public interests, and how the microgrid platform helps customers interact with the grid. NYSERDA also is asking applicants to describe the path that the municipality has established for procuring services from the microgrid. The authority says it wants to foster communication between the parties to avoid issues over procurement later. The eight winners will have an opportunity to vie for additional funds in the third stage of the $40 million competition, which will be issued at a date yet to be specified. Third-phase funds will go toward microgrid construction, but winners will be expected to secure private capital for the majority of projects costs. So the state will look more favorably upon stage 3 competitors that offer a higher cost sharing amount. Under a tentative, schedule the state will issue phase II contracts in December and open competition for the third phase in January 2018 with an eye toward choosing final winners in June 2018. Funding aside, the NY Prize is expected to advance the microgrid market just by the amount of valuable data collected through the feasibility studies submitted in Phase I. NYSERDA is now sifting through the information, which includes microgrid costs, and expects to release an analysis over the coming months. Those who do not win may still be able to tap into state help, possibly for energy efficiency or renewable endeavors that they identified while researching microgrids. 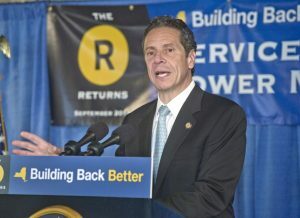 They will be connected to resources at NYSERDA, the New York Power Authority, their local distribution utility and private sector companies. The NY Prize phase II RFP is available here: www.nyserda.ny.gov/rfp3044. A NYSERDA report on Microgrids for Critical Facility Resiliency in New York State provides guidance for communities considering applying for phase II funding.